Just like Alzheimer's disease in people, canine cognitive dysfunction affects mostly older dogs. When a dog gets older, their cognitive functions may change. This could cause a change in their behavior. 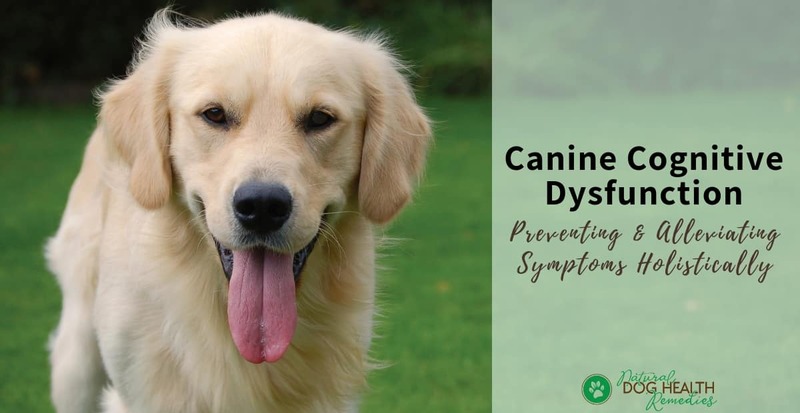 In a pet owner study, nearly half of all dogs aged 8 years and older showed at least one sign of canine cognitive dysfuntion syndrome. Other studies showed that 48% of dogs 8 years and older, 62% of dogs 11-16 years old, and 100% of dogs 16 years of age and older showed at least one sign of CCD. The exact cause of this syndrome is not clearly known. However, it appears that physical and chemical changes in the dog's body caused by oxidative stress affect the brain function of the dog. The brain is highly vulnerable to oxidation, which can cause damage and death of neurons, resulting in cognitive dysfunction. Microscopically, it has been found that dogs with dementia have abnormal protein accumulations in their brain, and blood vessels of the brain become visible. Ultimately, these abnormal brain conditions interfere with proper nerve transmission, resulting in behavioral changes in the older dogs. Sleeping a lot, especially during daytime. Showing a loss of appetite - the dog may even lose interest in his favorite foods or treats. Becoming lethargic and unwilling to socialize, play, or go outside. Having problems regarding elimination - though fully house-trained, the dog frequently eliminates in inappropriate places in the house. Staring at the wall or into space and is easily startled by sounds (e.g. from TV, or children playing). Showing signs of restlessness, e.g. pacing, wandering around aimlessly. Showing signs of aggression even towards family members and friends because the dog cannot recognize them anymore. Showing signs of apprehension, e.g. panting excessively, trembling for no apparent reason, etc. The dog may appear deaf because he does not respond to his own name or learned commands. He may also have difficulty learning new commands and tricks. 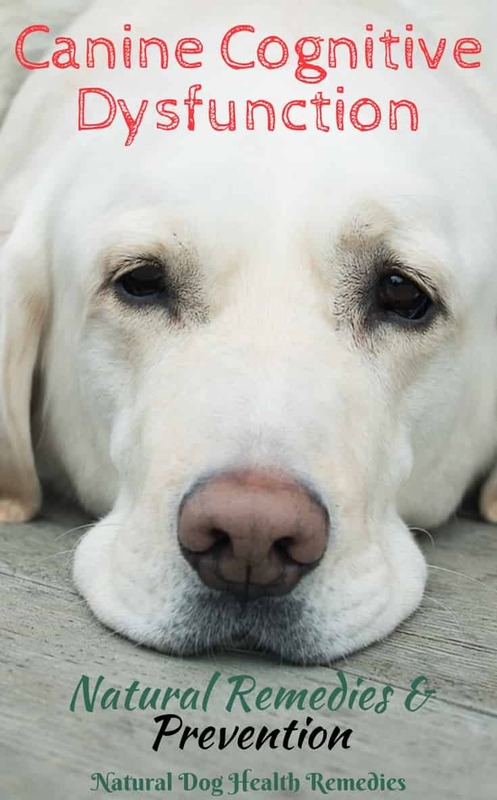 Download this canine cognitive dysfunction checklist and keep track of your old dog's behavior. What is the Life Expectancy of Dogs with Dementia? Canine cognitive dysfunction didn't affect a dog's lifespan negatively. Small breed dogs didn't show better survival than large breed dogs. Both female and male dogs had more or less the same survival rate. The study stated that dogs with dementia could have a "good chance of living a full lifespan if supported by the veterinarian and the owner." Also according to the study, while doggie dementia does not affect a dog's life expectancy, it does affect a dog's quality of life. It seems that key here is "early intervention". 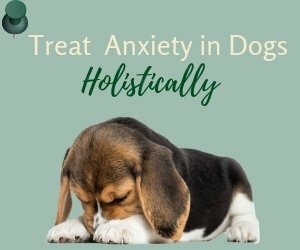 To maintain the dog's quality of life, early treatment is essential. Therefore, if you notice any of the above signs of dementia in your dog, take the dog to the vet immediately for diagnosis and treatment. The drug Selegiline (Anipryl®) has now been approved by the FDA for treating this old dog condition. Most dogs are prescribed one tablet per day. While effective in some dog patients, the drug can cause some side effects in others, including appetite loss, increased water intake, vomiting, anemia, as well as signs of confusion, disorientation and restlessness - symptoms that we want to get rid of in the first place! If no side effects are shown, the dog has to keep taking this medication for the rest of his life. 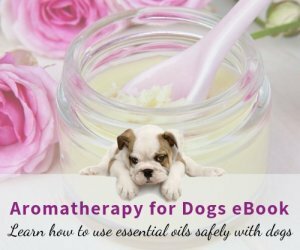 As this drug Anipryl is rather expensive and may cause side effects, if your older dog is showing signs of dementia, you may want to work with a holistic vet to see if your dog can benefit from natural alternative remedies. Choline: Choline is an organic compound, classified as a water-soluble essential nutrient and is usually grouped within the Vitamin B complex. Choline is a "building block" needed to produce the neurotransmitter acetylcholine, responsible for mediating brain functions such as memory, intelligence and mood. A deficiency in acetylcholine is believed to be a contributing factor in senility in general and Alzheimer's disease in particular. A clinical study has found that choline supplementation was effective for reversing signs of cognitive dysfunction in both dogs and cats. Recommended dosage is 50 to 100 mg daily for a 50-pound dog. Ginkgo: The herb ginkgo is widely considered as an "antiaging herb". It has proved effective in treating Alzheimer's disease in both people and canine. Ginkgo enhances both long-term and short-term memory in puppies and senior dogs alike. Rosemary: Rosemary is another effective herb that can help prevent the breakdown of acetylcholine in the brain. In addition, rosemary is an important antioxidant. Bacopa: Commonly known as Waterhyssop, bacopa is an Ayurvedic herb and has been used for a long time in India as a brain tonic to enhance memory and concentration. Gotu Kola: This is a traditional herb of both Chinese and Ayurvedic medicine, and has antioxidant properties that can protect the body from damage by free radicals. It is particularly useful for memory problems and stress-related disorders. Vitamin B6: Vitamin B6 has antioxidant properties because it inhibits free radical production. Resveratrol: Resveratrol is a type of polyphenol. Polyphenols are antioxidants that protect cells against damage from free radicals and therefore have anti-aging properties. Coconut Oil: Coconut oil has been proven to improve brain function in older dogs (and humans). The medium chain triglycerides (MCTs) in the oil provide a good energy source for the brain and can improve cognitive function and learning ability of dogs. Fish Oil: Fish oil (such as salmon oil) is beneficial for older dogs as it is an excellent source of Omega-3 fatty acids, the "good fats" that have anti-inflammatory properties and can reduce cholesterol and prevent blood clots. This is a natural resveratrol supplement for dogs. It contains not only resveratrol, but also kelp and lecithin. A good supplement for older dogs. This contains the entire B-complex, including 80 mg of Choline citrate. Memoractiv is a unique combination of various antiaging herbs and supplements such as Ginkgo, acetyl L-carnitine, and Bacopa. This is an excellent supplement for dogs with age-related decline in brain functioning. Make Your House Safe: First and foremost, make sure that your house is safe for your dog. As dogs with dementia tend to be disoriented, try to remove furniture that may be in your dog's way, and try to make sure your dog won't get trapped in any space in the house. Provide Indoor Toilets: You may need to place several indoor doggie toilets around the house for the dog to release himself. Or spread pee-pee pads around the house for easy cleaning. Use Elevated Food and Water Bowls: Elevated bowls make it easier for dogs to eat and drink. Also, make sure that your dog is drinking enough water every day to prevent dehydration. Don't Startle Your Dog: Some dogs with dementia may also have hearing loss. Do not approach or touch the dog from behind. This may startle the dog and he may respond with a bite! Always approach from the front and always handle your dog gently. If you have young kids at home, teach them to do the same. Don't Stop Training Your Dog: Your dog with dementia may not be able to learn new tricks, but don't let that stop you from challenging your dog cognitively. As the saying goes, "Use it or lose it!" If you play simple games with your dog (e.g. hide and ask him to find his favorite toy or treats), you are helping him use and "exercise" his brain. Who knows - it may help slow down the progression of dementia. 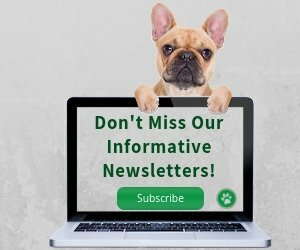 If you are the parent of an older dog (7 years or older), and are concerned about the possibility of your dog developing dementia, please take action now! Prevention is always better than cure. One of the most important thing to do is to minimize inflammation in older dogs (minimizing inflammation may prevent or decrease the incidence of dementia as well as many other disorders, including cancer). Begin giving your dog choline and other anti-aging supplements as suggested in the previous section. Begin giving your dog anti-inflammatory supplements (fish oil such as salmon oil, antioxidants). Switch to a natural diet if you have not already done so. Minimize or stop using chemical flea and tick products. Switch to natural flea and tick products instead.